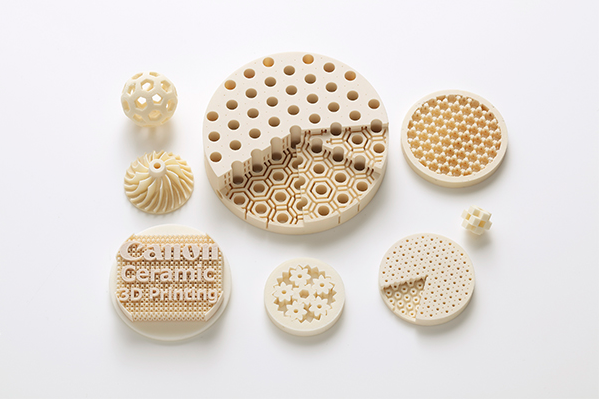 Canon Inc. announced today that the company has developed a manufacturing technology for the highly accurate 3D printing of ceramic parts with complex geometries using a proprietary ceramic material for 3D printers. The 3D printed ceramic parts feature such properties of conventional ceramics as heat and corrosion resistance as well as insulating properties, and are expected to be utilized in a variety of different fields, including industrial equipment. 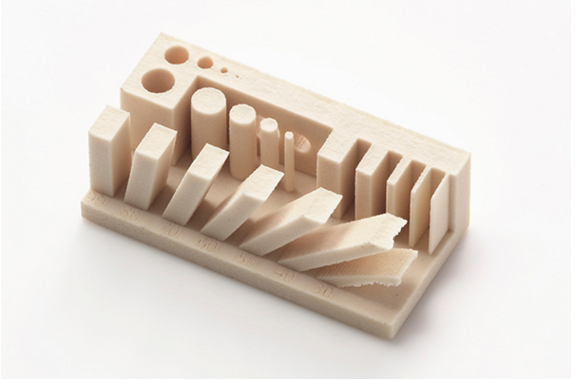 Canon has developed a new alumina-based ceramic material suited to selective laser melting as well as a new parts production technology. Through this technology, a 3D printer can be used to stably produce ceramic parts with such complex geometries as hollow and porous structures, which are difficult to achieve through ordinary metal molding or cutting processes. 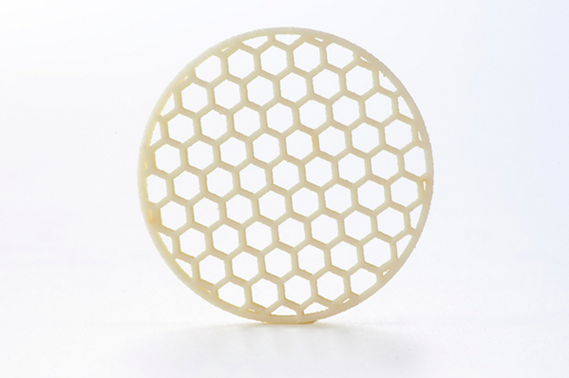 For example, when creating honeycomb shapes with hexagonal hollows and a diameter of approximately 19 mm, parts can be produced with high accuracy with differences in external dimensions before and after the annealing stage of less than 0.8 percent.